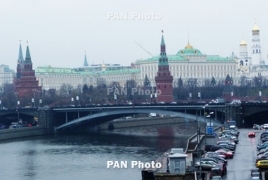 PanARMENIAN.Net - A meeting of Armenian, Azerbaijan and Russian Foreign Ministers Zohrab Mnatsakanyan, Elmar Mammadyarov and Sergey Lavrov has started in Moscow. Mnatsakanyan had earlier had discussions with Lavrov in a separate meeting. The closed-door consultations are takingplace in the wake of the talks between Azerbaijani President Ilham Aliyev and Armenian Prime Minister Nikol Pashinyan held in Vienna on March 29. The ministers will be joined by OSCE Minsk Group Co-Chairs Igor Popov (Russia), Stephane Visconti (France) and Andrew Schofer (USA). Liver transplant surgery performed in Armenia for first time ever “This such an important medical event that I wanted to let everyone know about it bya ll means,” the Minister said.